Dark discoloration of the skin under the eye is mainly referred to as dark circles. It is also known as dark rings or shadows. Fatigue is the most common cause of dark circles under your eyes. Suffering from dark circles under your eyes? Let us help you to get rid of them! There are number of ways how to fight with this problem. From the above-mentioned changes in lifestyle to special cosmetic products. Eat healthy, have a balanced diet, take vitamins, and drink plenty of water. A whole host of cosmetic problems can be attributed to vitamin deficiencies. Dark circles and puffiness are often attributed to lack of vitamin K or inadequate antioxidants. Also, a deficiency in B12, C, D and E vitamins can cause dark circles. Avoid rubbing your eyes. Make sure you don't drink too many fluids before bedtime. 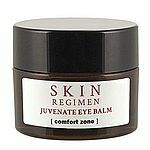 This can contribute/add to bags under your eyes. Length of treatment: 45 - 60 min. Treatment includes: skin cleansing, application of serum jeunesse du Regard on eye contours and wrinkles on the forehead, application of amazing modeling porcelain creme Crème de MODELAGE défatigante + eye's contours and forehead massage, mask tenseur application on the eye contours and forehead + compression pads and 4 and the final phase involves the application of Soin Regard multi-actions and modeling porcelain. up to 36% reduction of wrinkles. For optimal results we recommend a course of 3 treatments (1x per week). Package 2+1 at half a price - you save up to 445 CZK! A specialist treatment for the eye area for a fresh face. Dark circles and expression wrinkles are visibly reduced, skin is nourished in depth therefore preventing irritation and dryness. Treatment includes: tranquillity welcome ritual, Eye lift treatment (LPG), nourishing and revitilizing mask on eyes and lips for hydrating and draining + closing massage. Package 2+1 for half a price - save up to 445 CZK! Remove eye bags to restore a naturally youthful appearance to tired-looking eyes.